We are all guilty of pigeon holing, to one extent or another. Maybe it gives us some kind of certainty, or helps to guide us. Maybe it’s to keep us within our own comfort zones or even to break free from it. Hell yeah, we’re rebelling! Sometimes, we come across someone or something that seeks to defy being categorised, nowhere more so than in the music industry. Some acts thrive on changing their style or image from album to album, and some even manage to achieve it song by song. It can be the work of pure genius, or it can be a total and utter disaster. Fidlar’s latest offering, Almost Free falls into the category ‘Meh’. ‘Almost Free’ is the third offering from the LA based ‘punkz’, and comes almost four years after their last album, ‘Too’. The band look to have taken their time to try something new, and maybe be different and not repetitive. 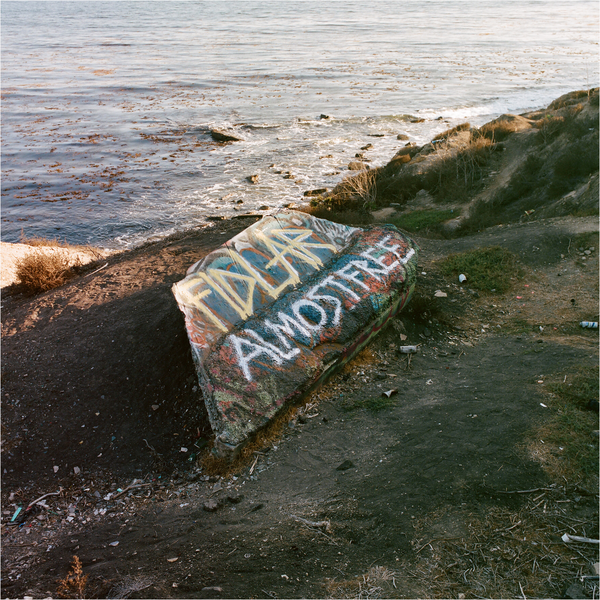 With Ricky Reed producing, Fidlar have come up with a recording that offers the listener a variety of different styles and genres. ‘Almost Free’ flips between angry, hard rap to easy listening punk pop, the latter not surprising given Reed’s CV (Jason Derulo, Union J and Jessie J) but whereas some bands are able to effortlessly switch styles, Almost Free feels like it has been thrown together. There’s not enough variety and at the same time, there’s too much, and so the whole offering just doesn’t gel. It’s a shame, because Fidlar do some things really well. The opener, ‘Get Off My Rock’, a reaction to being forced to move out of an up and coming neighbourhood, and ‘Alcohol’, a raucous journey into rediscovering drink, are a couple of highlights. They are loud, sometimes angry, and feel natural. Standing out though, and at just 39 seconds, ‘Nuke’ shines out from what is mostly post punk pop mediocrity. Tracks such as ‘Called You Twice’, a duet with Grammy nominated artist, K Flay, feels a little contrived. “Shall we put on a generic heartbreak song?” “Oh go on then, why not!” ‘Flake’ sounds like a poor man’s Kasabian, and single ‘By Myself’ is just the kind of generic pop punk that went down well on mainstream radio in the early 2000s. ‘Scam Likely’ could have been lifted from the Blur reject pile. ‘Can’t You See’, also released as a single, has all the hallmarks of an Absolute Radio playlister, and throwing in a few expletives doesn’t detract from that. That seems to be a theme throughout. I’m not a prude by any stretch of the imagination (don’t ever accept a lift from me if you’re not a fan of swearing) but it just felt out of place and unnecessary most of the time. Like kids trying to outdo each other with their new vocabulary. It’s not clear what Fidlar are trying to achieve here, and I’m confused. Is it an angry and driven statement of modern life, juggling drink, drugs and a screwed up society, where you can’t make up your mind if you love or hate your home and country? Or is it a safe forage into the mainstream on a desperate search for airplay? Answers on a postcard, please. Almost Free is released on 25th January through Mom + Pop Records.